A few weeks ago, I sat for coffee with the renowned Oxford professor Tariq Ramadan. He is the grandson of Sheikh Hassan al-Banna, founder of the Muslim Brotherhood. Early this month, at the opening of the muslim fasting month of Ramadan, my wife and I joined a few of my close friends who are muslims to “berbuka puasa” (break fast) here in Bukit Mertajam. Last week, I was at a Ramadan programme organised by Lydia Ong, DAP state assemblywoman for Berapit. Chief Minister Lim Guan Eng was there too. Last Friday, after his Tarawih prayers, I spent the late evening with Dr. Mohd. Asri, one of the most well-respected Islamic thinkers in our country. We spoke well past midnight together with Liew Chin Tong, DAP’s leading strategist. It baffles me therefore when UMNO’s mouthpiece, Utusan Malaysia claimed that DAP is anti-Islam and labelled us as “kafir harbi“. That term, I was made to understand, refers to non-muslims who are at war with muslims. Nothing can be further from the truth than to label DAP as such. Our party not only has muslim supporters but also muslim members and leaders (and founders!). To say that DAP is “kafir harbi” not only insults muslim members and supporters of the party, but also creates dangerous and unnecessary religious animosity against non-muslims in the party. Deep down inside, Malaysians know that UMNO’s communalism is not an option at all if we want to go further as a nation. If anything, our individual fate is inextricably tied to each other’s. On this ship called Malaysia, we sail or sink together. The choice to play UMNO’s game is not a choice at all. We have now reached the closing of yet another Ramadan. 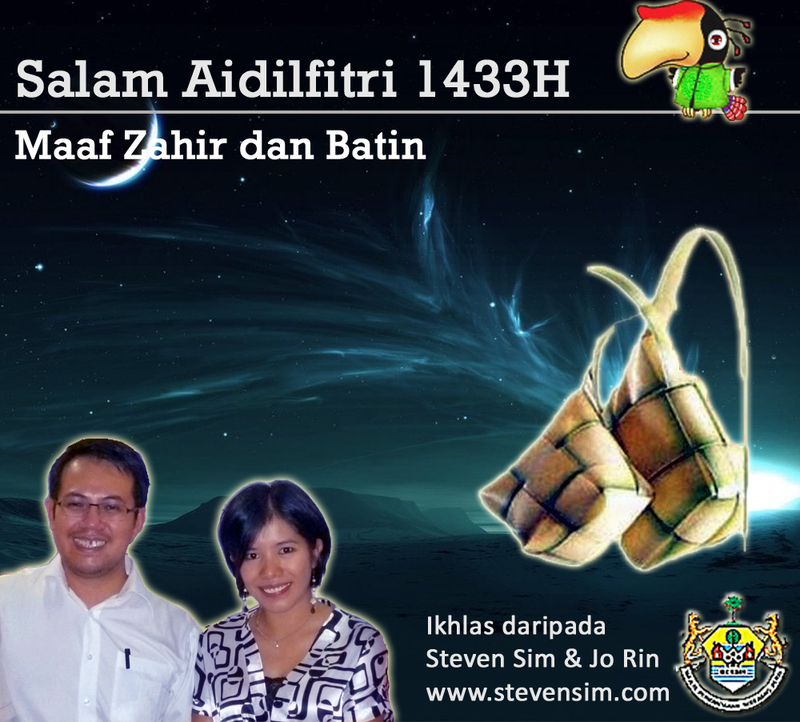 In the spirit of Syawal and Aidilfitri (Eid ul-Fitr), I would like to renew afresh our friendship and solidarity. May you be greatly blessed this festive season.